The ground is all frozen over up north (this is what it looks like from the plane), and I'm getting used to my icy new reality. It's kind of calming. I'm so happy it's the weekend. I've had a really crazy week. I hope you have some time to relax and decompress this weekend... I know that's what I need. 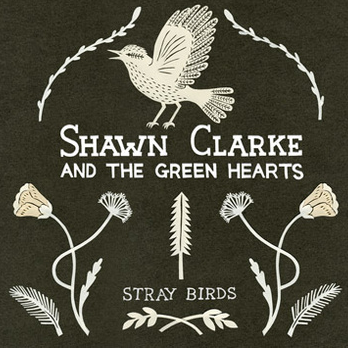 My favourite indie folk artist, Shawn Clarke, just released a beautiful new EP. I love his voice, and the vibe of his music, and the good mood it puts me. i'm in the mood for some new tunes, going to have to check this out! : ) hope you're having a lovely sunday! grey cup here! Awesome, thanks for sharing! Good luck getting used to the iciness. I am not ready for that! Enjoy the rest of your weekend! Stop by and enter my Shabby Apple giveaway! Thanks for the lovely shout out! The landscape up where you are looks beautiful. Beautiful landscape and beautiful music!